As our rather tempestuous spring weather gives way to the long, stifling days of midsummer, our thoughts turn to downing cold beers as a selection of meats gently char on the coals. Yet, in a city where neither the authorities nor the Guardia Urbana are too keen on us lighting roof terrace barbecues, where does one go to get their outdoor cooking fix? It may come as a surprise that there are a number of spaces dotted around the city at your disposal. In the picturesque Parc de Collserola there are two free municipal spaces, the first at Santa Creu d’Olorda which for active types is easily reachable with the FGC and an energetic walk. The other at Torrent de Can Coll is more easily accessed with your own transport. Also several stops from the city center and again served by the FGC is the village of Les Planes where you will find El Merendero, a much larger, livelier place with a fiesta vibe, which is in fact open all year round. 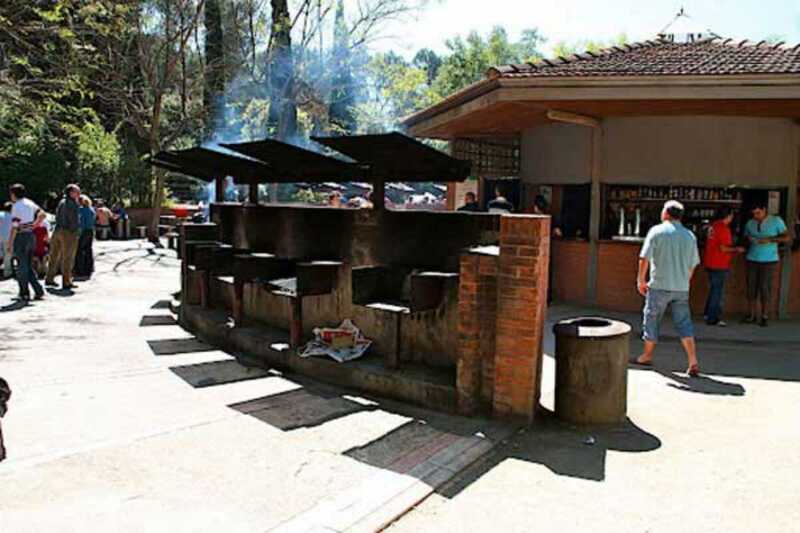 El Merendero charges for table and grill hire, but also sells the charcoal and firewood so your arms are free for carrying those coolers, not to mention providing a bar to quench your raging summer thirst. If a climb into the hills seems too exhausting in the heat then jump on a super chilled metro to Trinitat Vella and visit one of the cities more modern, urban parks, Parc de la Trinitat. What was once the last remaining farmland swallowed up by the growing sprawl, this center for recreation now sits amid bustling roads yet creates a peaceful space offering a barbecue and picnic zone along with sports pitches, terrain for model making fans to practice their creations and an urban kitchen garden. Take a wander to settle the afternoon’s feast and be sure not to miss Josep Ros’ impressive rampaging horse sculpture Cavalls desbocats.